Every board has come across circumstances where meeting minutes needed to be reviewed in order to understand the details of a past discussion or decision. Wading through minutes can be a very cumbersome experience, especially if they are not properly transcribed or easily recalled. 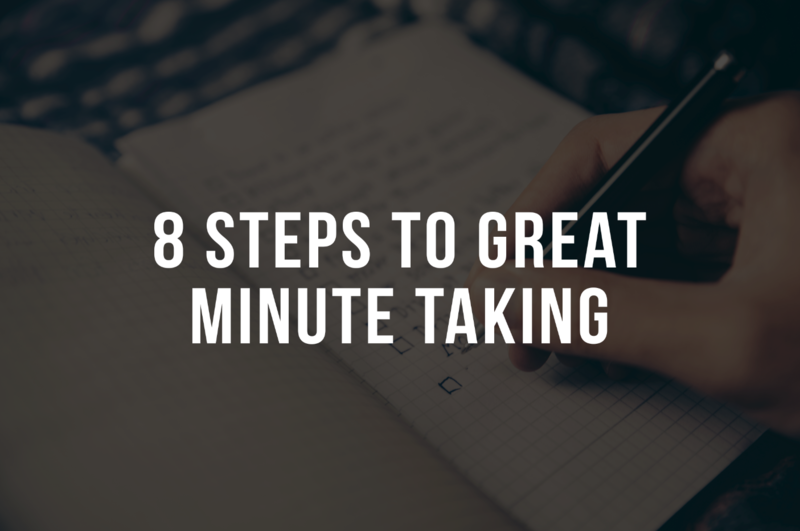 Minute-taking can be a daunting task, but it is also crucial. Keeping a fair and unbiased record of decisions can go a long way toward reinforcing a proactive relationship between the board, management and the condo’s residents. A question that often comes up is: How can I make sure I’m taking good meeting minutes? Understand the purpose of minutes: Minutes should serve as a tangible summary of what was discussed at a meeting – keeping them relevant and succinct requires keen attention. Know what to include: When taking minutes, discretion is necessary. Table talk that does not contribute to relevant topics (he said she said) should be omitted. Be clear: If a future board member recalls past minutes, they should be able to clearly identify who was present and understand the context of what took place. Be consistent: A good set of minutes maintains consistency throughout. This includes the way parties are addressed, nomenclature, titles, formatting, spacing, and motions. Identify who is in attendance: The attendants of the meeting should be clearly identified by name, title and affiliation or purpose. This includes guests and representatives. Use impartial language: Refrain from writing in the first or second person. Avoid using pronouns such as “I”, “we”, “us” or “you”, even if you belong to the board. Understand when to use in-camera minutes: Items pertaining to employees of the corporation, investigations, lawsuits, or specific units, should be kept in a separate in-camera section. Edit carefully: Ensure your minutes are properly edited for content, grammar and syntax. If using a third party, inquire about their editing methods or processes. Although the aforementioned tips can assist with creating a good document, it also important to remember that minutes remain completely objective. Board members and management are encouraged to carefully review the final product, prior to approval, as a thorough review of the minutes will help mitigate discrepancies. And finally, now that you have put together a comprehensive set of minutes, make SURE the document is properly archived – you never know when you’re going to need it! Minute Taking – What Are The Options?